Not only Teddies and Rabbits but also other animals are sweet as friend. Linda Lamb with heat cushion. 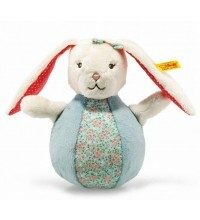 She is made of creme cuddly soft plush and stuffed with synthetic filling material and pellets. In her belly she has a removable cherry pit pillow. She is with safety eyes and machine washable at 30 degree C (cherry pit pillow not washable). She has the CE mark of safe toys for baby and small children. 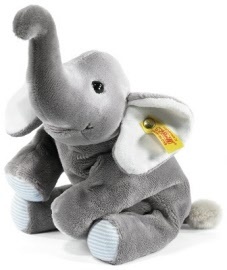 Trampili Elephant with heat cushion. He is made of grey cuddly soft plush and stuffed with synthetic filling material and pellets. In his belly he has a removable cherry pit pillow. He is with safety eyes and mashine washable at 30 degree C (cherry pit pillow not washable). 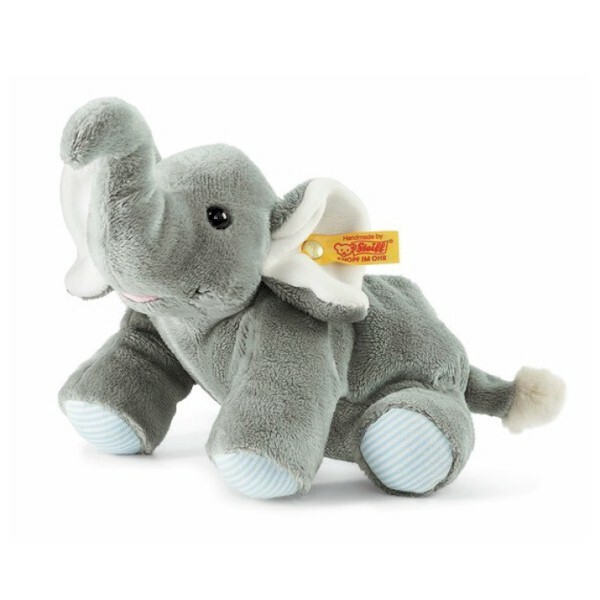 He has the CE mark of safe toys for baby and small children. 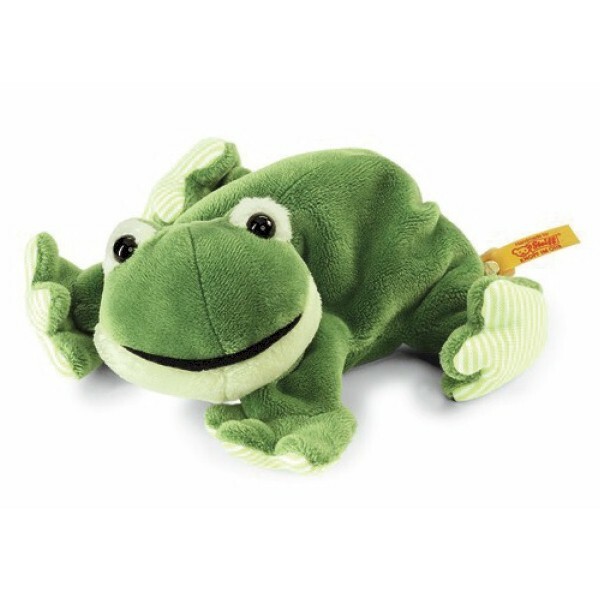 Steiff EAN 281235 floppy Cappy frog, 16cm. Cappy is made of green cuddly soft plush and stuffed with synthetic filling material and pellets. He is with safety eyes and mashine washable at 30 degree C. He has the CE mark of safe toys for baby and small children. In the floppy collection, little Sissi Pig. 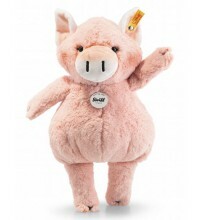 She is made of pink cuddly soft plush and stuffed with synthetic filling material and pellets. She is with safety eyes and mashine washable at 30 degree C. She has the CE mark of safe toys for baby and small children. Steiff Floppy EAN 281297 MINI LUMPI golden retriever, 16cm. 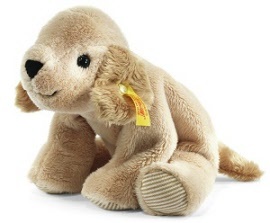 Floppy Lumpi is made of cuddly soft plush, stuffed with synthetic filling material and pellets. He has black safety eyes and is safe for your baby and child. 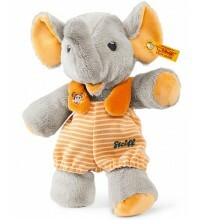 He is mashine washable at 30 degree C.
In the floppy collection, Trampili elephant. 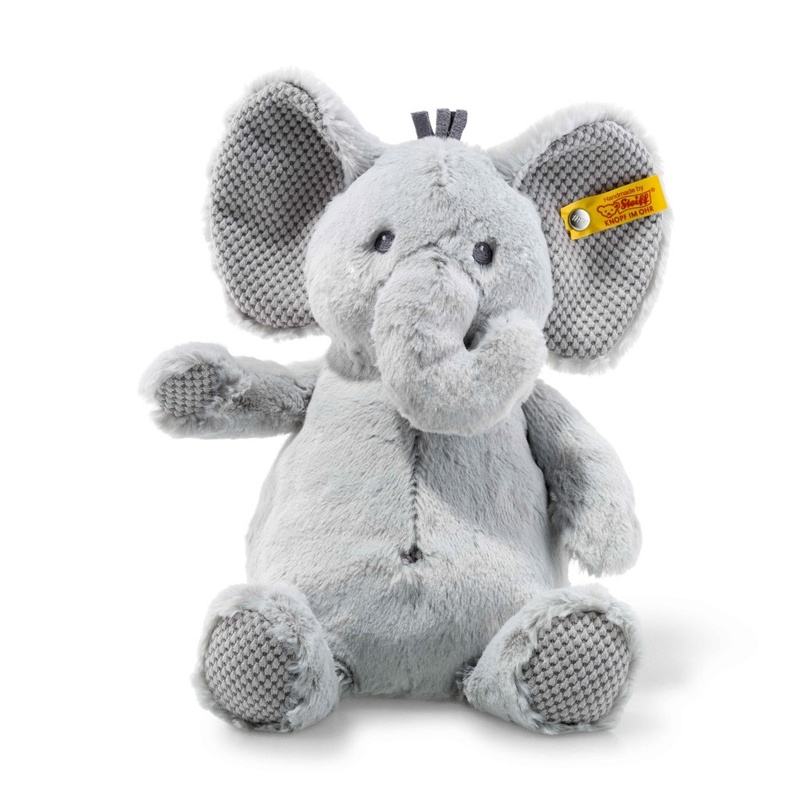 He is made of grey cuddly soft plush and stuffed with synthetic filling material and pellets. 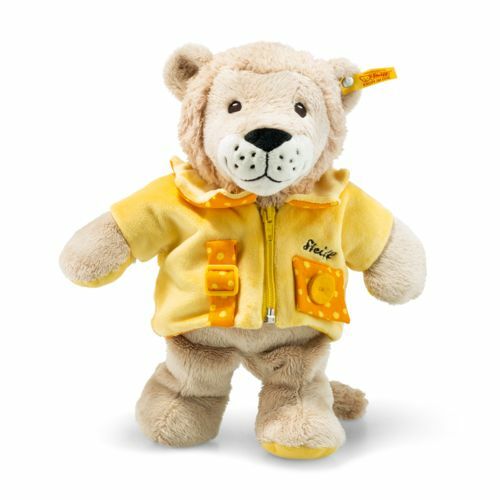 He is with safety eyes and mashine washable at 30 degree C. He has the CE mark of safe toys for baby and small children. Steiff Pigilee is 18 cm. / 7.2" tall and made out of pink plush. This mini Pigilee has embroidered eyes. Steiff Pigilee has a stainless steel button in his left ear. 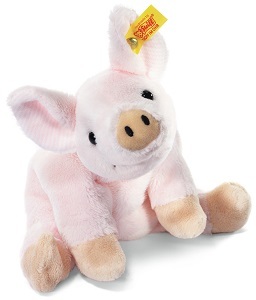 Steiff EAN 283055 Piggilee Piglet, 35cm. 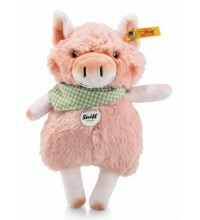 Steiff Pigilee is 35 cm. / 14" tall and made out of pink plush. Steiff Pigilee has a stainless steel button in his left left ear. 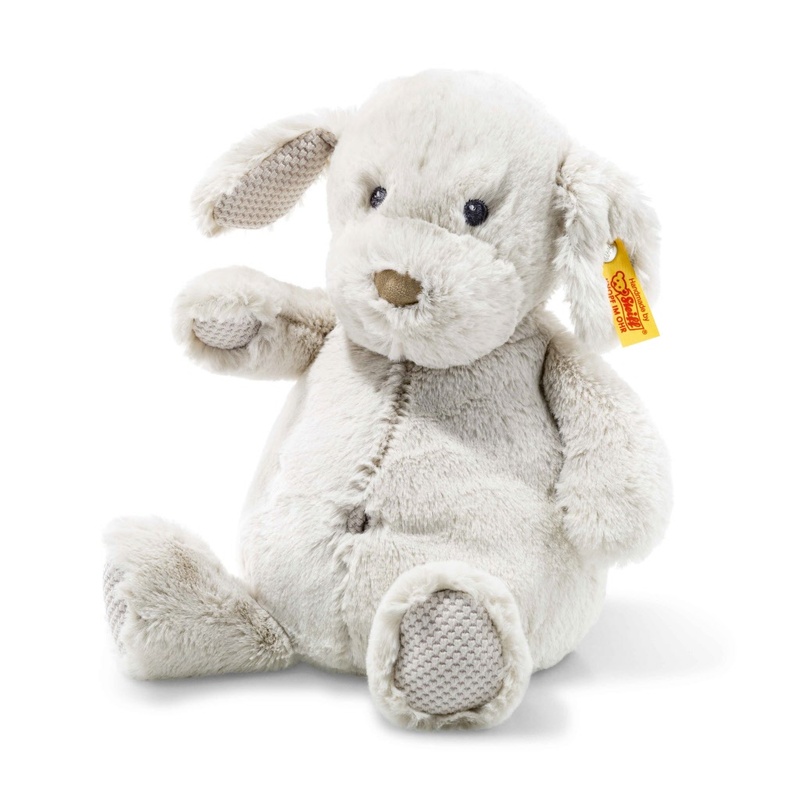 Steiff EAN 237393 Lenny Lamb, 22cm. 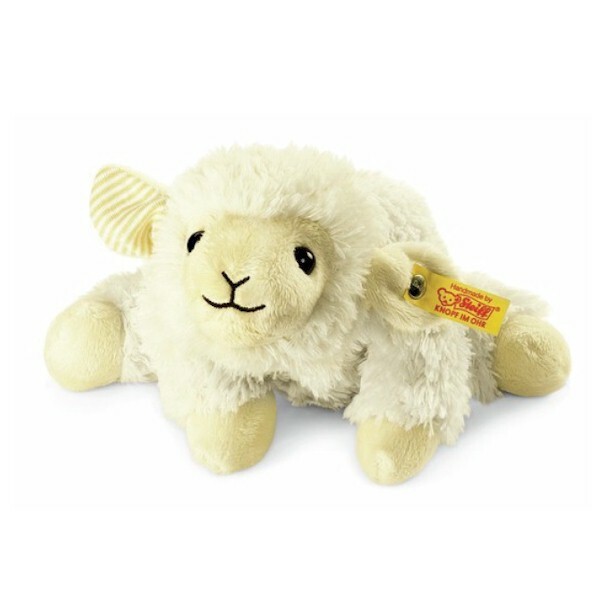 Steiff Lenny Lamb is 22 cm. 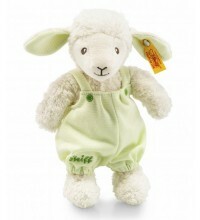 / 8.8" tall and made out of super soft fluffy white organic cotton and is wearing light green trousers. 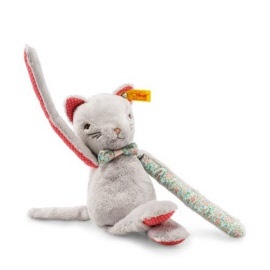 Steiff EAN 241109 Blossom Babies Cat, 27cm. The Cat is made of grey plush for baby-soft skin. He has embroidered eyes and is stuffed with synthetic filling material. He is machine washable at 30° C and has the CE mark for safe toys. He has a stainless steel “Button in Ear”. 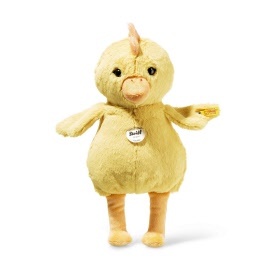 Steiff chickilee is 18 cm. / 7.2" tall and made out of yellow plush. Chickilee has the CE mark for safe toys. 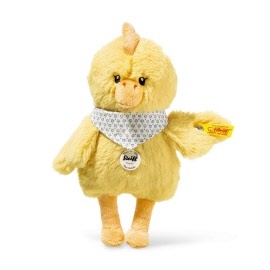 Steiff Chickilee has a stainless steel button in her left ear. Steiff EAN 073250 Happy Farm Chickilee Chick, 35cm. 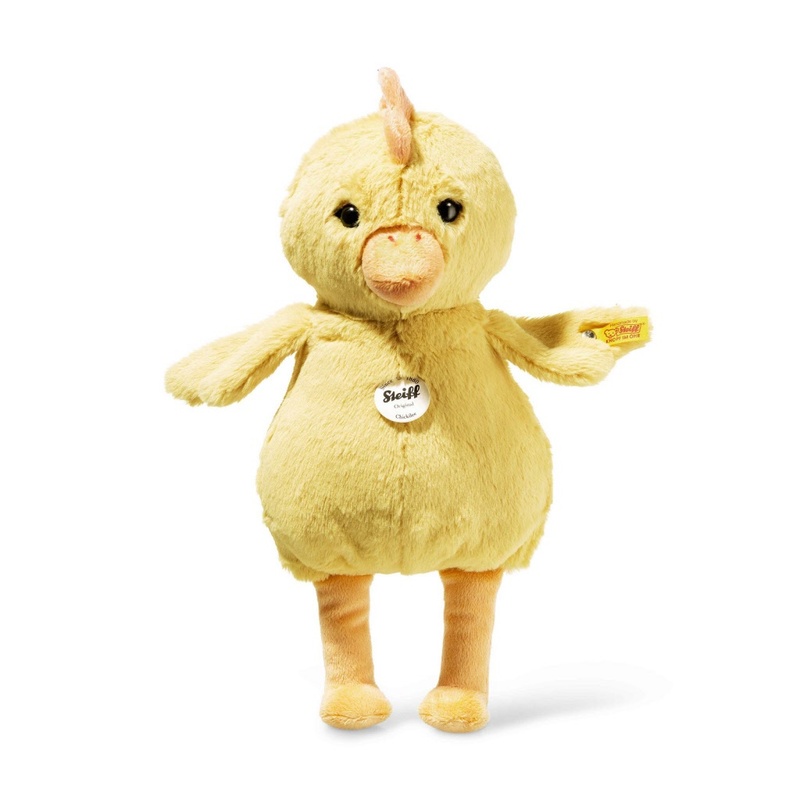 Steiff Chickilee is made out of yellow plush. 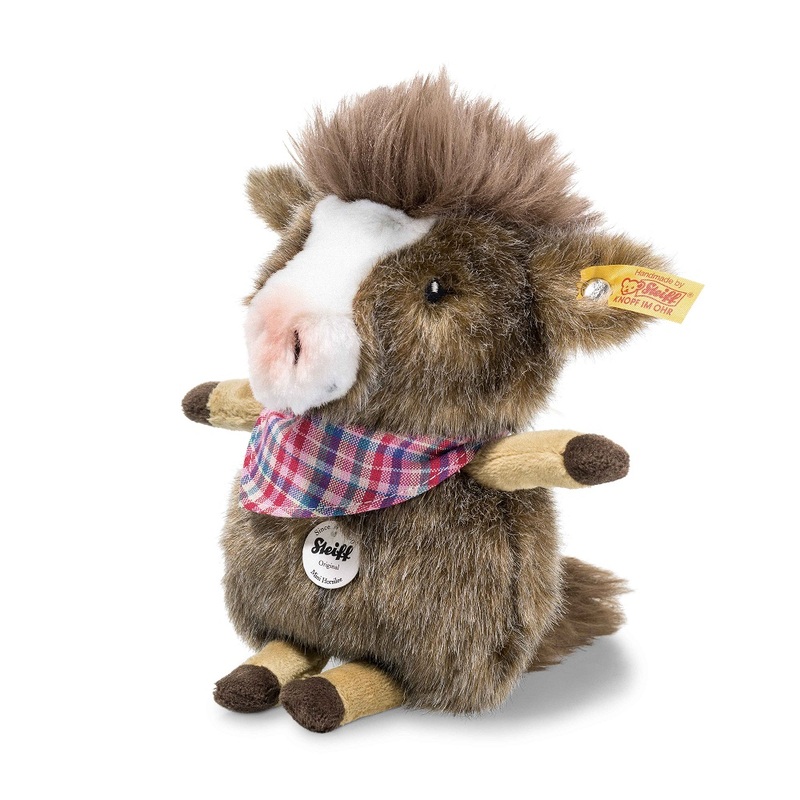 Steiff EAN 069994 Happy Farm mini Horsilee Horse, 18cm. 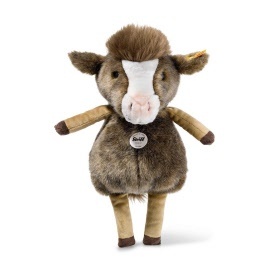 Steiff Happy Farm mini Horsilee Horse is made out of brown plush. Horsilee has the CE mark for safe toys. 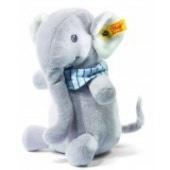 Steiff Horsilee has a stainless steel button in his left ear. Steiff EAN 069994 Happy Farm Horsilee Horse, 35cm. Steiff Happy Farm Horsilee Horse is made out of brown plush.